Spread about 1 cup of tomato sauce on the bottom of a 9x12 baking dish. Place a piece of wax paper on the counter and lay out cooked lasagna noodles. Make sure noodles are dry. Take approximately 1/3 cup of ricotta mixture and spread evenly over noodle. 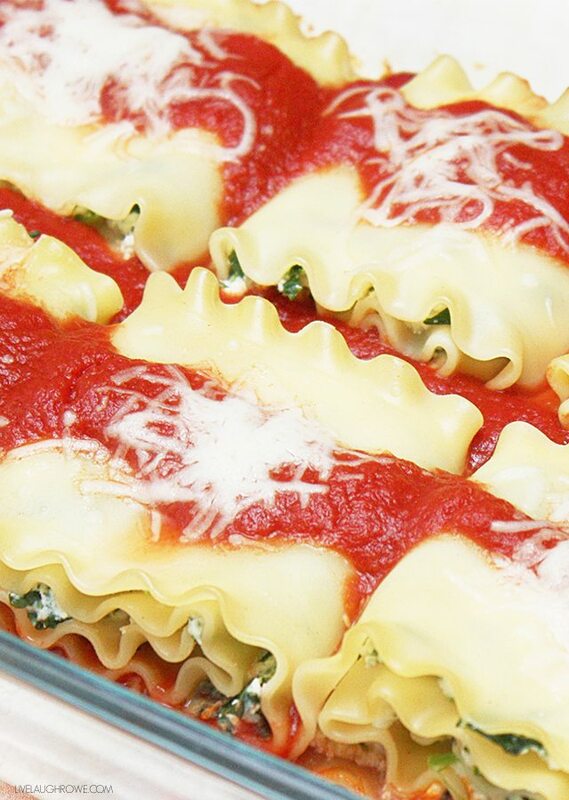 Ladle sauce over the noodles in the baking dish and top each one with approximately 1 tbsp mozzarella cheese. Put foil over baking dish and bake for 40 minutes or until cheese melts. Make approximately 10-12 rolls.